What do you want your grandchildren, great-grandchildren and even great-great-grandchildren to know about you? What talent, trait or feature will they inherit from you? Will they know that their love of science, freckles or athletic abilities is something that they may have gotten from you? Everyone's life is unique. No one else has had your experiences, your memories, your thoughts and definitely not your personality. It’s a life that should be shared and preserved for generations to come. That's why it’s important that even after you’re gone, something about you can live on forever. Let us show you how you can create a lasting legacy that can help unite your past with the future. One of the most important questions to consider is how you want to be remembered. This requires a thoughtful look back on your life, and it may not be something you can answer right away. We've put together some tips to help you start thinking about what you want those who come after you to know about you. Think back on your most important memories. Some may be sad; some may be funny. Maybe your car broke down in a rainstorm on your honeymoon. Or when you burnt your first Thanksgiving dinner and smoked out the house. Or the time you and your spouse toured the Amazon River. Consider what you are truly passionate about in life. Maybe it’s cooking. Or preserving a nearby national forest. Maybe it was jazz. Whatever it may be, write about how it’s important to you, how it all started. Give detailed accounts of the particulars or events. Provide examples, like a photo or article about the national forest you helped save. Or maybe a recipe you perfected. Or a recording of your favorite jazz song. It can be anything that helps others truly understand and appreciate your passion. Is there something about you or your life that's really unique? Maybe no one knew you picked apples in Australia one summer during college. Or that your ultimate dream was to sing with the Rat Pack in Vegas, even though you couldn't even sing in key. It can be something that maybe your family never knew or something future generations would find interesting. While no one lives forever, your heritage remains. Just as each individual life is only a branch on a larger tree, exploring, recording and preserving your family's story for future generations may be one of the most important gifts you can give. Our society has become increasingly transient. Families are uprooting themselves from their place of birth and resettling all over the world. One way to build and maintain your family heritage, even when your family is scattered, is to create an online family memorial to give everyone a place to reconnect and share. The Internet can keep everyone connected. In an online community, such as Enduring Memories® Online, you can chat, share photos, tell family stories and stay in touch. Another way to build and preserve your heritage is to establish a family burial site, which can provide family and friends a permanent place to remember and reflect on the many lives that were lived. Selecting burial property together can maintain family closeness and keep loved ones nearby. No matter your preference, whether you choose traditional ground burial, mausoleum entombment or placement in a cremation garden or niche, families can be memorialized together forever. For those desiring the utmost in upholding a family legacy, private family mausoleums can be a timeless reminder of your achievements. And family settings such as these can also be personalized to reflect your life's passions. Favorite verses can be inscribed in granite and marble on benches, markers and even statuary. The selection of plants, landscaping and lighting can provide even more ways to express your individuality. No matter how you want to be remembered, you should begin planning today for a lasting tribute that will maintain your legacy and will be cherished and appreciated by generations to come. It’s essential that family and friends are able to not only remember your life, but also celebrate it. There are many ways to ensure this can happen, but perhaps the most touching and lasting way is by leaving a personal remembrance for to those you love. Tokens of remembrance can also be given out to those who attend your funeral service, and it can be as simple as an engraved golf ball, a customized seed packet or a special prayer card or as personal as a piece of your favorite crystal or a baseball card from your collection. You might choose to be remembered through a memorial fund to an important cause, or a scholarship or donation to be given in your name and even options like memory books, permanent Internet memorials and unique keepsakes. 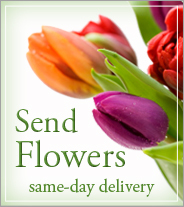 We can also help you organize, coordinate and arrange distribution for almost any memorial gift of your choice. Today is the time to start thinking of the perfect gift that will keep your memory alive in the hearts and minds of family and friends for many years to come.